Earlier this month we welcomed to ICL Boulby, Alex, who is a current student at Camborne School of Mines, working hard towards gaining a Masters in Science (MSc) in Surveying and Land/ Environmental Management. 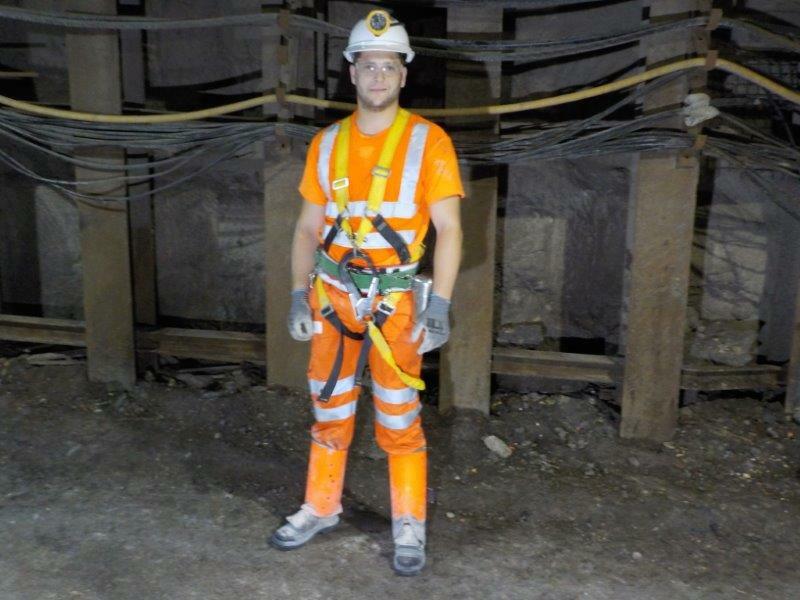 Being a graduate from Hull University gaining a 2.1 in Bachelor of Science (BSc) in Geology, his objective was to secure a placement within ICL Boulby over the summer period, which is a 12 week placement within the Geology department with Nick Atton and his team. This placement will give him the relevant experience and skills required for him to pursue his ultimate goal of becoming a Surveyor in Mining and Environmental Management. Camborne School of Mines is based in Penryn Cornwall, which has a world-class combined mining school and geoscience department, Camborne has a rich history of producing first class mining engineers for over 125 years. In addition they offer a number of unique and innovative programmes designed for individuals working within the extraction industries. Their research covers a range of geoscience subjects, and focuses on many key areas including past environmental change, volcanic hazards, deep Earth processes, intelligent mining, efficiency and safety, critical raw materials, and sustainable mining.